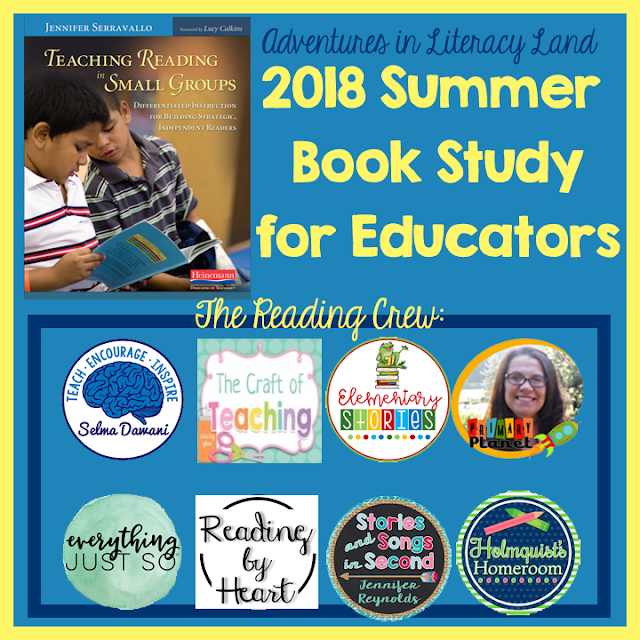 This year The Reading Crew chose Teaching Reading in Small Groups: Differentiated Instruction for Building Strategic, Independent Readers by Jennifer Serravallo as one of our professional development book studies for the summer of 2018. Serravallo opens the chapter by examining elementary reading experiences that some of us had growing up in the eighties. There were usually only three reading groups: low, middle, and high readers. Your teacher might have had names for them but in my experience the groups were referred to by color and we read from a textbook. All of us have unique experiences and they no doubt shape the way we approach education and teaching. In the book, Serravallo comes to a realization about her own experiences of teaching in small groups. She asked herself “Is what I’m doing a benefit to the student, to myself (teacher) or to us both?” With that purposeful question, she came to the conclusion that she was checking up on student comprehension more than teaching comprehension. She did more teaching of the book than teaching the reader to read. 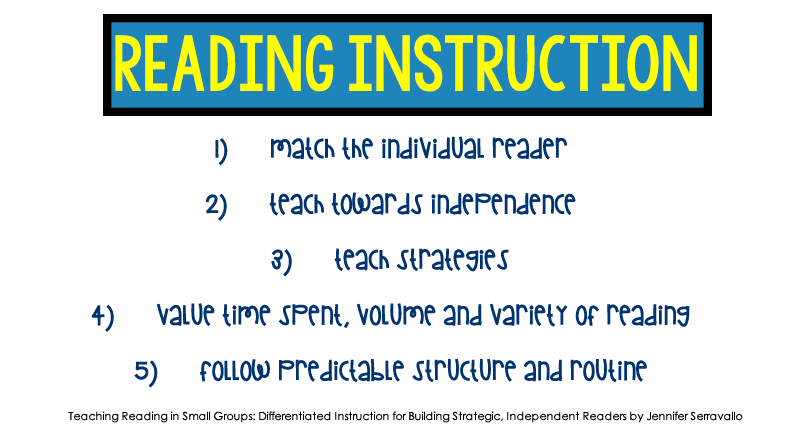 This realization set her on a journey to be better at differentiated reading instruction by being flexible and purposeful of grouping students and develop a repertoire of ways to meet their needs. So she developed the small-group method that we will explore in the next coming weeks. 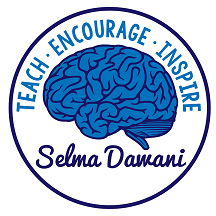 The goal of small group instruction will help children to read with engagement and enthusiasm, read strategically, engage in meaningful conversation about the books, read fluently and with expression and read more challenging texts. Small-group instruction is successful across diverse school communities, but a common thread binds them. 3) they are committed to small-group instruction. 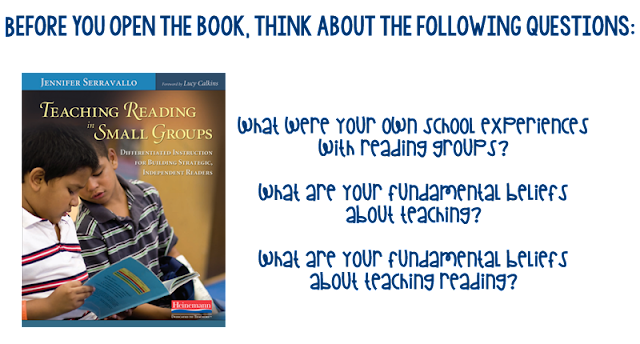 Small-group instruction is basically a “group conference.” The goal is to model the kinds of reading habits and skills we use to support student readers to do the same when they are reading alone. Group conferences allow children to build reading relations with each other and help us to work more efficiently. When students are in a group with a common goal, they will reach out to their peers when encountering questions. Small-group instruction is flexible and can take on many forms depending on the purpose. Ask yourself “What am I helping the reader to learn about reading?” and “ How much support does the student need from me to accomplish the task?” The answers to these questions will help guide your decision about the structure and method of your small-group instruction. It could look like shared reading, it could look like a coaching conference, etc. It should seem more like a conference than anything else. Even though children are groups, students are seen as individuals and responses to each student are differentiated so that you help them acquire new learning and transition them to independent practice. The book explains that the methods and structures that will be outlined in this book are balance of literacy which means that there are opportunities for students to watch the teacher, practice with teacher support and finally practice independently. In this book study, we will be focusing on the WE DO / WITH portion of balanced literacy, particularly how us as teachers will support students as they read moving them closer to independence. We will assess the student to find what they CAN DO and link new information, instead of assessing what they don’t know. Then we will model, then support the student and finally move them to independence by gradually releasing responsibility. 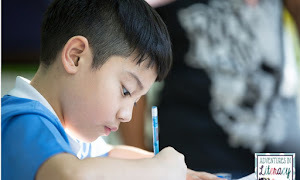 We will do this by explicitly teaching strategies such as determining importance, questioning, inferring, monitoring for meaning, activating prior knowledge, visualizing, and synthesizing. 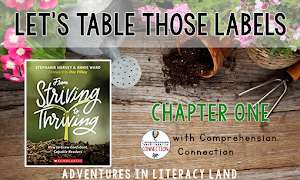 The small-group structures we will discover in this book will teach a quick strategy, allow students to read and use less time listening to us talk! 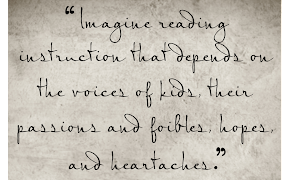 Think about your current reading group. Draw a bridge and divide it into three sections representing the continuum of TO / WITH / BY and plug in the components of your reading instruction to see what you are currently doing. I am excited to work through this book and discuss with all of you that will be following us along this summer book study. Once you have read the chapter and written your reflection questions, please comment below questions that you hope this book answers for you. I have struggled with successfully implementing small groups in my classroom. I feel that the children have not benefited. I’m hoping this book will help find an approach that works. Thank you for commenting on this blog post! I love working with small groups - I feel like that is where I shine as a teacher - I hope to learn more tips and strategies with this book too... Can I ask you exactly what kind of issues you run into during small groups?